A typical facial cleft can be labial, labio-maxillary (unilateral or bilateral), labio-maxillary-palatal (unilateral or bilateral), or isolated palatal. We may also find a bilateral labial cleft or a labial cleft with a partial palatal cleft. They correspond to the Tessier 2 classification, and we will not describe the other types of Tessier clefts (1–14) which are much less common (Tessier, J Maxillofac Surg 4:69–92, 1976,). Depending on the type of cleft and the age of the child, feeding, speech, and ear-nose-throat (ENT), dental, orthodontic, esthetic, and also psychological problems will be present (Malek, Classification and anatomo-clinical forms, in: Malek, ed., Lesions, pathophysiology and primary treatment cleft and lip palate, Martin Dunitz, London, 2000, pp. 17–26, ). In developed countries, a multidisciplinary team includes several specialists who will handle the diverse problems of children born with a cleft and follow the child through each developmental stage (Jackson, Cleft lip and palate, in: Mustardé and Jackson, eds., Plastic surgery in infancy and childhood, Longman Group UK Limited, London, 1988, pp. 1–43, ). This is why the handling of a cleft starts at the time it is diagnosed, ideally before birth, and ends when the child is fully grown. It also requires the collaboration of obstetricians and geneticians. The concept of the multidisciplinary team is essential for the good and correct follow-up of the child born with a cleft and also of his family. The objective of the group is to bring together specialists in rehabilitation in order to optimize the care and the treatment in all fields: esthetic for the skin and functional for orthodontics, ENT and speech, and psychological. Only a multidisciplinary team can be fully efficient in helping children and their families, by offering optimal care according to priorities and demands. Such a team must include specialists in the medical and paramedical disciplines which might be involved in dealing with the sequelae at any age (Millard, The naming and classifying of clefts, in: Millard, ed., Cleft Craft, the evolution of its surgery, Little, Brown and Company, Boston, MA, 1976, pp. 41–52, ). Progress in surgery and anesthesia over the last 50 years has been tremendous. The risk related to general anesthesia, present especially during the first 6 months of life, has been radically reduced. Major progress in ENT treatment and speech therapy has brought an improvement in the quality of life and a lessening of the long-term sequelae. Modern maxillofacial surgical techniques in orthodontics allow us to envisage solutions in cosmetic and functional rehabilitation. The sequelae of facial clefts are many and involve many tissues, organs, and systems, from an esthetic point of view, the lip and the nose, and from a functional point of view, feeding at birth and long-term breathing and speaking. The impact on the personality of the child and his psychological well-being must also be taken into account (Stock and Feragen, Psychol Health 31:777–813, 2016, ). 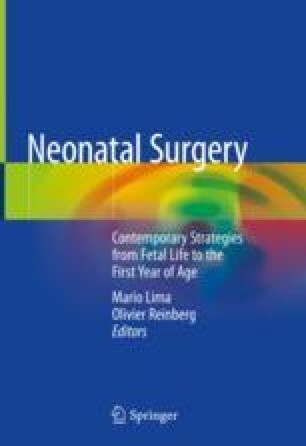 The heterogeneity within the groups of cleft types, the existence of associated anomalies, the different timing and surgical techniques of primary palatoplasty, the difference in speech therapy follow-up, and the evaluation techniques all complicate the evaluation of these sequelae.